The controversial route for National Grid's new 400,000 volt power connection between Hinkley Point C power station and Avonmouth has been published. This follows almost three years of planning which has been accompanied by vocal objections from several local protest groups. Protestors claim that the pylons on the new route will blight the countryside and have demanded that the lines should be buried. In their presentation today National Grid says that as a result of the new scheme an existing 132,000 volt line between Bridgwater and Avonmouth can be taken down and that a number of other shorter sections of 132,000 volt line will be removed to enable construction of the new line. The company says it expects there to be a reduction in the number of pylons between Bridgwater and Avonmouth from 240 to 145. Following public consultation, almost five miles of the route through the Mendip hills will go underground. The route through Mark will use a gap that is further away from properties and Mark Church of England VC First School than the existing overhead line. The existing overhead line above Avonmouth Church of England Primary School will be removed. Two existing power lines in Nailsea will be dismantled and the new line will be further away from the houses. The second existing 132,000 volt overhead line will be placed underground. This will remove existing power lines that currently cross people’s gardens in Nailsea. We’ve been very keen to listen to the views of local people, for example on the importance of the Mendip Hills where we now plan to use underground cables. We’re very pleased that the new connection will take up to 95 pylons out of the landscape. We understand people have concerns about overhead lines, but where they are used, we will work hard to reduce any visual effects by routeing the line carefully and using appropriate pylon designs, which could include the new T-Pylon. More information about the draft route can be found on the project website at: www.hinkleyconnection.co.uk. Residents can also visit National Grid’s community information hubs in Bridgwater, Congresbury, Nailsea and Avonmouth during November and December to find out more about the project. 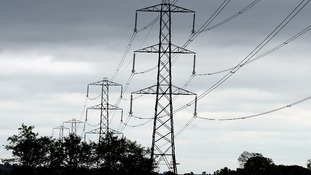 Later next year, after careful consideration of feedback on the draft route, National Grid will consult on more detailed proposals before making a formal application for consent to construct the connection. Ultimately, the Government will make a decision based on a recommendation made by the Planning Inspectorate.